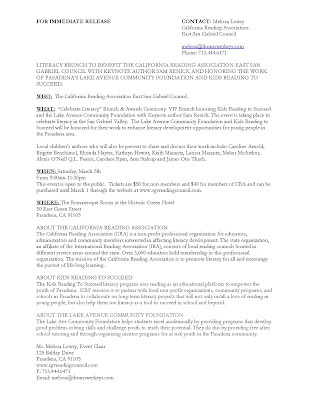 We are delighted to report that KRS has received the Celebrate Literacy Award from the California Reading Association - San Gabriel Valley Reading Council. 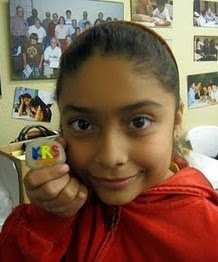 The award honors KRS for its work enhancing literacy development opportunities for young people in Pasadena. 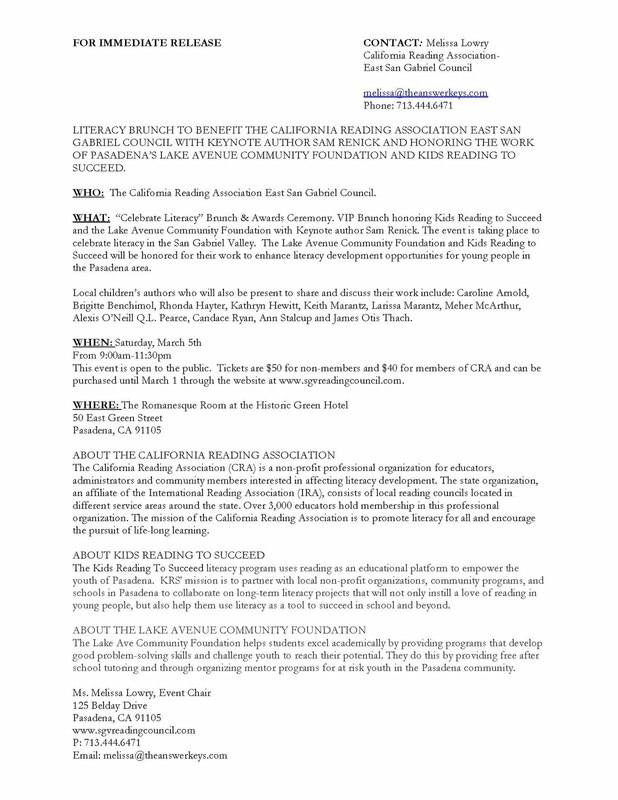 KRS will be honored at the California Reading Association's "Celebrate Literacy" Awards Brunch and Ceremony on March 5, 2011 (9-11:30am) at the Castle Green Hotel in Pasadena. To purchase tickets for the event, please go to the California Reading Association's website. Click on the Association's press release below for more information.